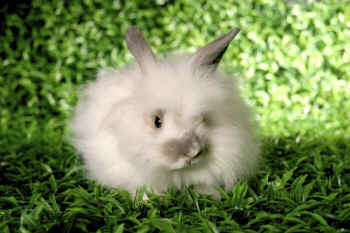 Please see A Look Inside the Angora Rabbit Fur Industry...have you ever heard a rabbit scream? Inditex, the multinational company, that owns the popular brand Zara as well as Pull&Bear, Bershka, and others, is sending 20,000 brand-new angora sweaters, coats, and other garments—worth nearly $900,000—to Syrian refugees in Lebanon to help bring a little warmth to those in dire need while also sending a vital message about compassion for animals this winter: only people in desperate need of basic necessities have any excuse for wearing fur that is ripped from live animals’ bodies. It’s no secret that the way angora wool sweaters are made would make the hair on the back of your neck stand on end. But now those same garments are helping to bring some comfort to Syrian refugees who are facing a frigid winter in makeshift tents in Lebanon. Following talks with PETA, Inditex, the world’s largest clothing retailer, agreed to ban angora wool products permanently—and donate its remaining stock to Syrian refugees through the charity Life for Relief and Development, rather than profiting from the garments. Inditex is in good company. After a PETA Asia eyewitness investigation revealed that rabbits on angora farms in China scream and writhe in pain as workers tear the fur out of their skin, retailers all over the world—including Calvin Klein, H&M, and Zappos—stopped selling angora products. As Inditex’s compassionate action shows, with so many other options available, only those who are truly struggling have any excuse for wearing fur, wool, or skins.